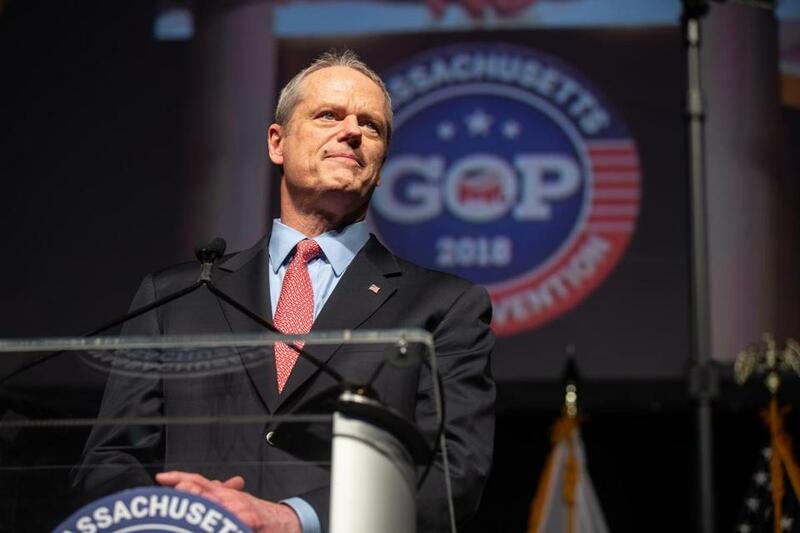 Governor Charlie Baker at the Massachusetts GOP State Convention, held at Worcester’s DCU Center in April 2018. Imagine you’re a grad student with an idea that could revolutionize the future of social networking. You’ve experimented for months, or even years. You’ve hired a dozen employees and are about to scale your business. But just as things get moving, a mysterious letter from an unknown sender arrives in the mail, claiming you’re violating an unidentified patent. The letter says you face a multi-million dollar lawsuit unless you stop immediately or pay a hefty “licensing fee.” The sender doesn’t share any details — doesn’t disclose what patent you are violating or even whom the law firm sending the letter represents. They just say they will sue if you don’t pay. Tens of thousands of these letters are sent annually by “patent trolls.” These are firms that don’t make or sell anything. Teams of lawyers often set them up for the sole purpose of weaponizing federal patent laws to shake down innovators and score millions in legal settlements. Companies like Apple have massive legal budgets to protect themselves from these frivolous lawsuits. But for many entrepreneurs, such a threat means selling their idea to a large company that can push back on the trolls, moving to a state that will protect them, or shutting down entirely. Efforts should be marshaled to foster social inclusion and cities that are livable for all. Read: Will America yield its position as the world’s leader in science and technology? Massachusetts, with its vibrant startup scene, is an especially vulnerable target because our state government has been slow to respond. Vermont passed the nation’s first anti-trolling law in 2013. Since then, more than 30 states passed their own anti-trolling measures protecting innovators in their communities. Bizarrely, Massachusetts is not one of them. Governor Baker could have changed that last week. The Legislature recently passed a bipartisan measure to prohibit the worst types of trolling abuses. But instead of heralding the new protections as a win for innovation, Governor Baker caved to mild concerns of big business and vetoed the anti-trolling provision, killing any chance of reform until a new legislative session convenes next year. In a signing statement that accompanied his veto, the Governor acknowledged that “states have a role to play” in stopping patent trolling, but wanted a more “narrowly tailored” solution. 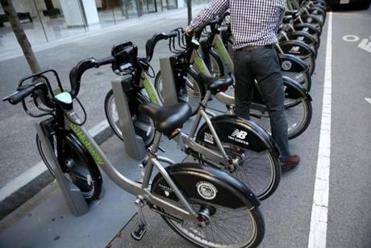 Several big business groups in the state, representing some of Boston’s long-established industries and institutions, opposed the measure. These bigger companies fear they will be unfairly accused of trolling even when they have legitimate intellectual property claims against unscrupulous competitors. The Legislature, already mindful of this concern, set out a clear definition of bad faith behaviors, requiring such basic information as the patent number in question, the name of the patent owner, and a description of the violation. The legislation also allows a judge to exempt research universities and companies involved in research and development from the law entirely. If our Commonwealth’s largest businesses are already following these basic standards, then what are they worried about? Every policy decision involves tradeoffs, and in this case, Governor Baker missed an opportunity to bet on the future, and to send a bold signal of support to the inventors and entrepreneurs fueling his state’s red-hot economy. What does the veto mean? In the short term, Massachusetts will be one of the last states without patent troll protections. Our innovative companies are already extortion targets and trolls will know our state government is not going to protect them. Governor Baker would be wise to remember that memories of vetoes and legislative maneuverings may fade with each election, but sending the wrong signals to entrepreneurs can trigger impacts that last for decades. In the absence of protection, startups have trouble getting funding, and this directly impacts jobs in our state. The dynamic growth we’ve seen in Greater Boston, thanks to a booming life sciences industry and a humming tech sector, is not our birthright. It’s the result of decades of effort in both the public and private sectors to foster an ecosystem where great ideas can take flight. Our Governor has an obligation to protect that. Letters: Are we losing our edge in innovation? Senator Eric P. Lesser is the Senate Chair of the Joint Committee on Economic Development & Emerging Technologies. Eric Paley is a partner at Founder Collective. Shirley Paley was general counsel of Catalant Technologies.